A killer priest is on the rampage across London and an egotistical Hollywood action movie star is out for revenge when his precious comic book collection is stolen. Meanwhile, gangster Marty Cook's dreams of going legit swiftly turn pear shaped when one of his bouncers accidentally kills one of his salsa club's regular customers. Razor sharp wisecracks, gaudy characters and even gaudier situations abound in Cold London Blues, a violent and pitch-black Brit Grit comedy of errors. There are loads of buy links here, if you're that way inclined. Also out now is the rebooted Exiles: An Outsider Anthology. Exiles is now published by Slovenian publisher Artizan. A powerful Noir short story collection edited by the Bukowski of Noir, Paul D. Brazill. Exiles features 26 outsiders-themed stories by some of the greatest crime and noir writers, K. A. Laity, Chris Rhatigan, Steven Porter, Patti Abbott, Ryan Sayles, Gareth Spark, Pamila Payne, Paul D. Brazill, Jason Michel, Carrie Clevenger, David Malcolm, Nick Sweeney, Sonia Kilvington, Rob Brunet, James A. Newman, Tess Makovesky, Chris Leek, McDroll, Renato Bratkovič, Walter Conley, Marietta Miles, Aidan Thorn, Benjamin Sobieck, Graham Wynd, Richard Godwin, Colin Graham, and an introduction by Heath Lowrance. 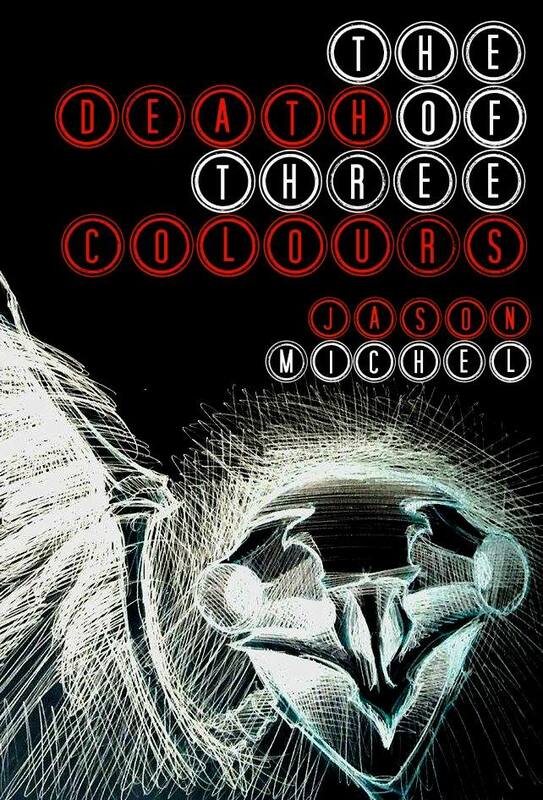 Pulp Metal Magazine's Jason Michel's The Death Of Three Colours is out now. Jonah is on the very edge of society and his sanity. With the death of a friend, events spiral out of control leaving him struggling with his demons. TDo3C is dark and surreal tale of organised crime, betrayal, the nature of evil and one man's obsession with the Mexican folk saint, Santa Muerte - Most Holy Death. And who can avoid her? From the foreword by Richard Godwin, author of The Pure and the Hated - "Jason Michel's The Death Of Three Colours exists beyond genre and definition like that song which carries its refrain into another realm of hearing. It is at once a piece of lyrical prose, a piece of subversion, a threnody and a religious hymn. Michel is an author who delves into the culture of prevalent times, who explores and excavates the ontology and disintegration of our consciousness, of the discontinuous world hemmed in by border control, political programming and lies. This work is both beautiful and angry, agonised and real. It is as much about a hunt for a lasting sexual experience as it is about the negation of self and alienation as the only way out within a society programmed to obedience." If you're into good music, you should check out Andrew Orley's Nobody's Reading blog and Gary Crowley's Punk and New Wave Show, which is on Soho Radio. Richard Godwin is over at Crimespree Magazine talking about Elmore Leonard and James Lee Burke. Aidan Thorn has lots of news over at his blog. Find out about the popular Crime & Publishment crime writing course here. Ryan Bracha has collected his Dead Man trilogy in one eBook. Tom Leins reviews Gareth Spark's Marwick's Reckoning. Lots of great flash fiction at Near To The Knuckle and Spelk Fiction. There'll be more stuff down Brit Grit Alley soon. 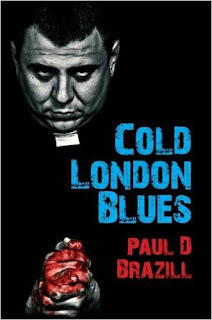 Paul D. Brazill is the author of books like The Last Laugh, Guns Of Brixton, Cold London Blues, and Kill Me Quick! He was born in England and lives in Poland. He is an International Thriller Writers Inc member whose writing has been translated into Italian, German and Slovene. He has had writing published in various magazines and anthologies, including The Mammoth Books of Best British Crime. He has even edited a few anthologies, including the best-selling True Brit Grit – with Luca Veste. His blog is here.